The Power Competition tyre is designed to be fast, focusing on rolling resistance whilst offering the highest amount of grip and puntuchure protection. Michelin says that this equates to over a minute off the time to climb Alpe d’Huez or a weight loss of 1.5kg, 54 seconds on the 2015 time trial world championship course or 2.8m in a 30 second sprint. Fantastic. Excellent. Weight real: 212g. very good tire. Grip power is excellent although resistance is lower than before. This is one fast tyre! If you are looking for a fast Clincher tire this an excellent option. The don't last as long and don't have the same puncture protection as the GP4000s, but they do roll faster. They roll really fast and are quite grippy as well. A very solid tire. Although I was impressed with my previous Pro 4 Service Course tires over the last few years; these new Power Competitions appear to roll slightly better. I also noticed that the widths on the same Fulcrum wheelset were more true to form for the 25mm size. 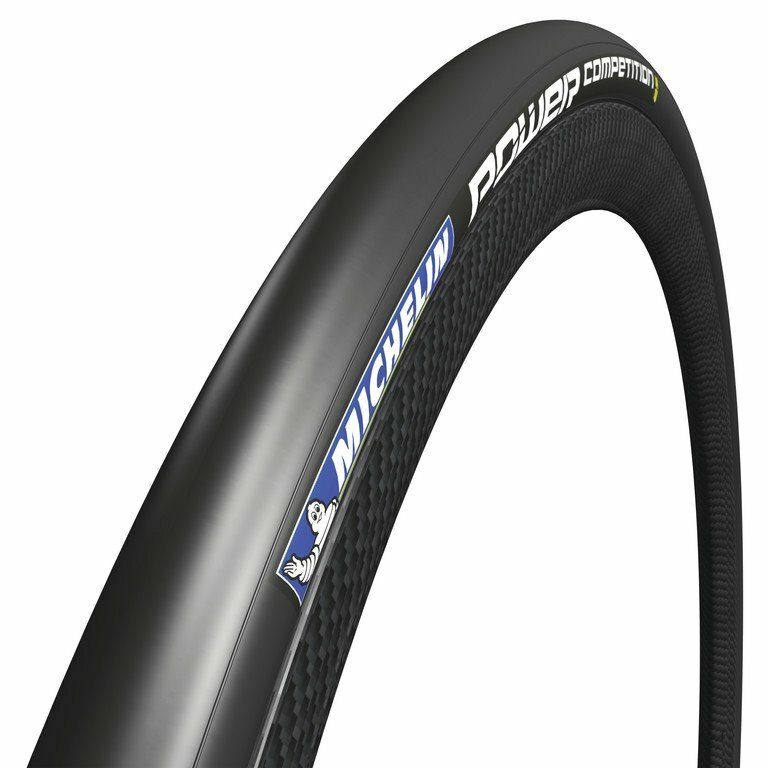 whereas the Pro 4's ran as wide as 29mm; these new Power tires, w/ a slightly different profile, run around 26-27mm. Great Michelin road racing tire at a great price! Great upgrade to the Pro4. I like the tread wear indicator to show me when I need to replace the tyre.